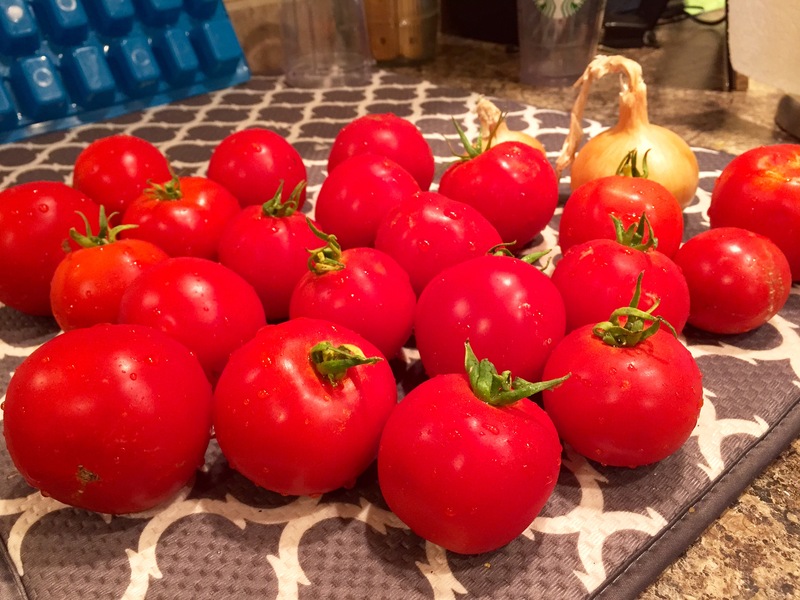 When my sweet mother-in-law gave me a TON of tomatoes from her garden recently, I wanted to turn them into something tasty that would make a nice “thank you” for her always thinking of us. But let’s be real: this “September” salsa is good any time of the year. 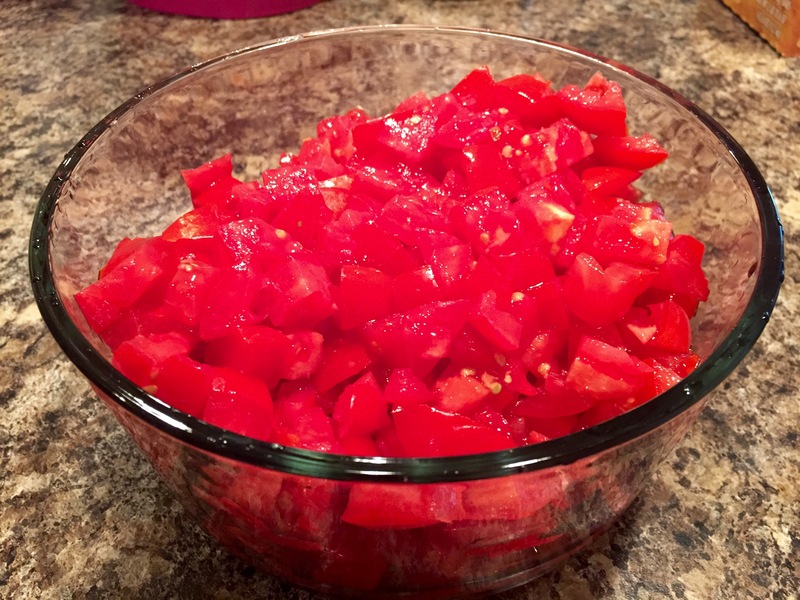 Some of my favorite things about homemade salsa include how nutritious it is and how you can customize it to suit your taste. This recipe is bursting with flavor- and you can adjust the heat from very mild to hot! The fresh ingredients and spices get a chance to marry together and even get more delicious by the day… I may or may not be known to lick the bowl afterwards! Wash & dice your tomatoes and onion. Add to a large mixing bowl. Chop the cilantro leaves and add to bowl. Then add black beans and corn into the mix (if using frozen corn make sure it has had time to thaw). Now it’s time to get spicy! This salsa is bursting with flavor- these can always be adjusted to fit your taste. Mince the garlic if using fresh cloves (if not, measure out garlic powder) and add to the bowl. Add oregano, cumin, salt, pepper and lime juice. Mix everything together well! ps- don’t forget to subscribe to have future recipes delivered to you! Yum! I want to try this recipe! I have a bunch of tomatoes in my herb garden that would be perfect for this. Yum this recipe looks delicious especially with all those fresh tomatoes! I love salsa it’s just too good not to pass up! Mmm yes! I think I’ll make some more today :)! 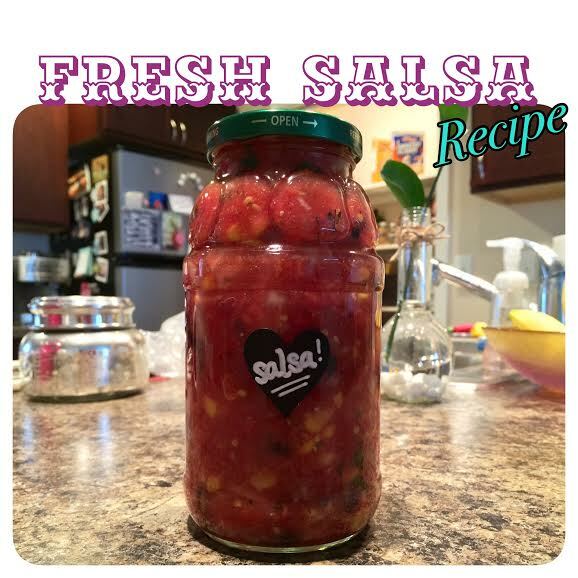 We love homemade salsa! Thanks for the recipe!